ONLINE PARTIES - The new cool craze!! It's Easy! It's Fun! It's Free! Contact us by email (office@lindoparfumo.co.za) to let us know you would like to have an online party. You will need to provide your name, address, phone number and party date. We will send you the email invitation that you can then forward to everyone you know. Once your guests/friends receive their invitation, they will order online (via direct email and EFT) quoting your party number. Your party can be run over 1 - 3 days to give everyone time to order and pay, and for you to get in R1000 orders minimum. 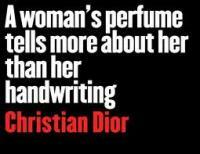 (approx.8 perfume sales). After 3 days, we will then close the party and calculate your earnings! We will also make note of any party bookings made at your party! We will notify you so that you can place your order for the 10% FREE perfume you have earned! You will also receive a FREE perfume for each booked party by any of your party guests BUT ONLY AFTER their party has taken place.